Everyone is thinking about budgeting these days. 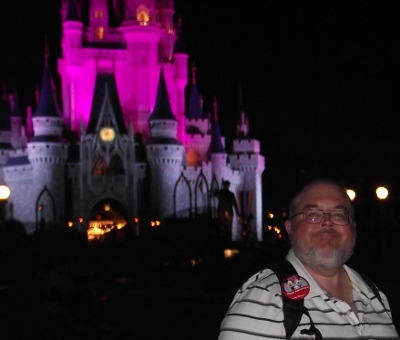 Proof of this is that I was just asked how to create a Walt Disney World vacation budget. Once you know what categories to use, creating a spending plan for travel purposes isn't complicated. It has been easier to create a Walt Disney World vacation budget than for most of the vacations that my family has taken. What is the total amount that you want to spend? Check the Disney website to see what accommodations and packages are available. Even though it is a higher cost category, you may be surprised at what fits into the Walt Disney World vacation budget. Look for packages with free dining. Don't forget that discounted tickets may be available from AAA so check there too. My preference is to stay on the park grounds in either the campground or a value resort. I have found that park rooms don't always lower my Walt Disney World vacation budget. However; I do have friends that swear by off park lodging. Check prices for on the grounds and outside the gate. The prices may be comparable but the perks can be hugely different. Decide according to your needs. Expect food to be the largest expense unless you get a Walt Disney World package. Dining plans are available from WDW, you can purchase in the park or bring your own. Prices for in-park food are on the website. You probably already know what you spend on food from home. Mapquest and GasBuddy have tools to help determine gas costs. To get the most accurate amount, you will need to check the mpg for your car. Even if your car remains parked on your Walt Disney World vacation it is still important to allow for side trips or stopped traffic. Both of these take extra gas and can raise your budget. Extra meals may need to be included. Tickets, parking or taxi and baggage fees should be included in your Walt Disney World vacation budget. Don't forget to check for any added fees or taxes that are tacked on. Decide what you need to buy and include them in your Walt Disney World vacation budget. Make plans to pack them before you leave. They are usually less expensive when purchased at home than from in the park. I usually set aside a nominal amount but some families decide to forgo them entirely. This is one area where you have total control. In my Walt Disney World vacation budget there is a line for personal expenses. This usually goes for clothing, bandages, travel bags or anything else that I might want for the trip. There are always a few unplanned expenses that come up. Dead camera batteries, a larger memory card or that special restaurant that you forgot about. Adding a few dollars into your Walt Disney World vacation budget can cover those items and leave a small cushion in case you need it.